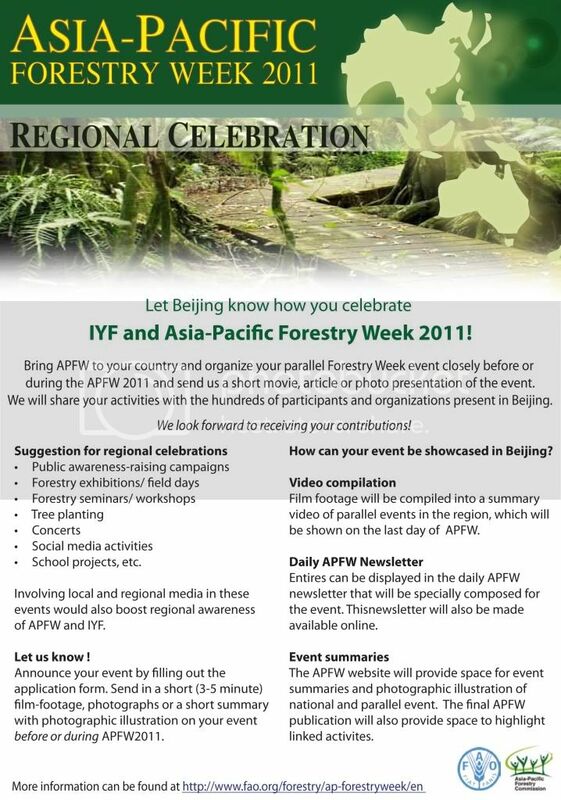 Let Beijing know how you celebrate International Year of Forests (IYF) and Asia-Pacific Forestry Week 2011! Bring APFW to your country and organize your parallel Forestry Week event closely before or during the APFW 2011. Send us a short movie, article or photo presentation of the event. We will share your local celebration with the hundreds of participants and organizations present in Beijing. We look forward to receiving your contributions! Please click here for the entry form and detailed guidelines.